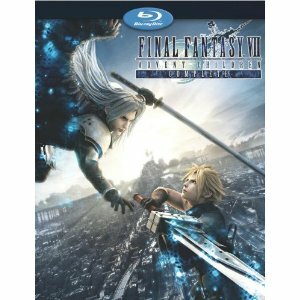 WorldMovieStore - Final Fantasy VII Advent Children Complete Sinopsis. Cloud and his companions must once again rise to the occasion to stop the siblings and the revived Sephiroth from unleashing total destruction. The two-disc set contains the original Japanese language version of the film as well as an English-dubbed edition (Rachel Leigh Cook and Christy Carlson Romano, among others, provide the vocal talent) and a version edited for the Venice Film Festival. A 30-minute featurette that recaps the Final Fantasy story up to VII, as well as a making-of documentary, deleted scenes, and promotions for future Final Fantasy VII games and products round out the extras. --Paul Gaita. Read More Sinopsis. 0 Response to "Blu-ray Release Final Fantasy VII Advent Children Complete"